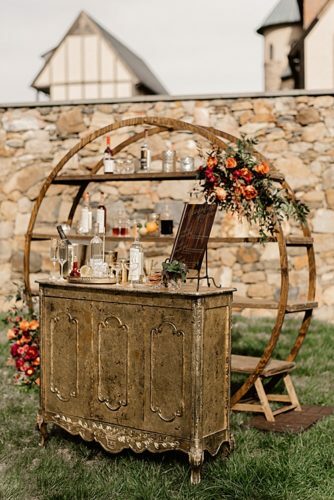 We’ve been waiting with bated breath to share this stunner with you all!!! 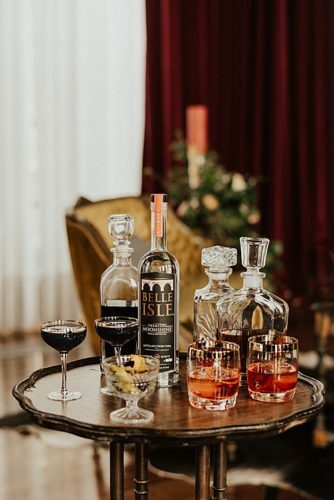 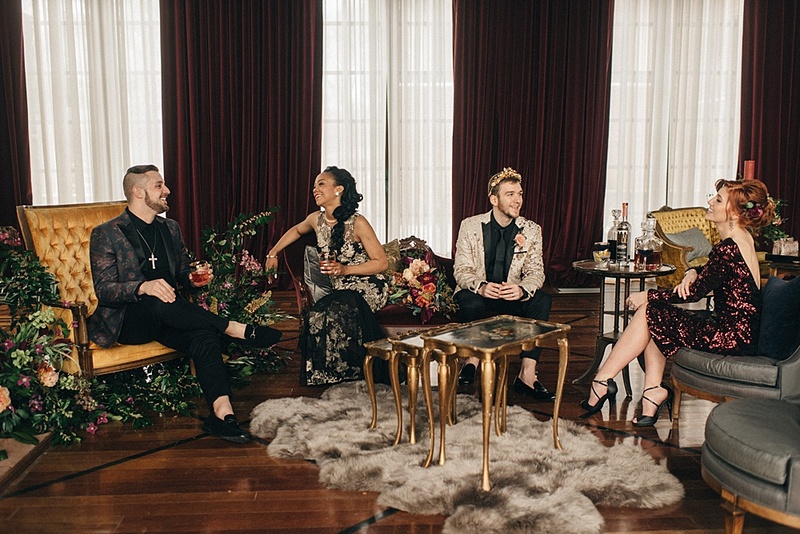 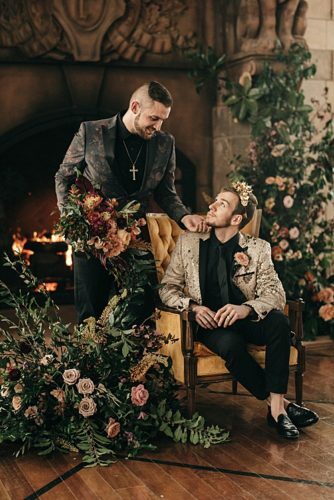 This gorgeous shoot by Swoon Soiree at Dover Hall was captured by Alex Tenser, and is chock full of inspiration, especially if you have a bit of a flair for the dramatic! 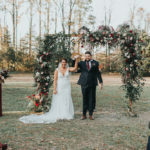 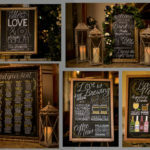 We were thrilled to see this featured on Bridal Musings, and wanted to share some of our favorite bits and pieces with you here!! 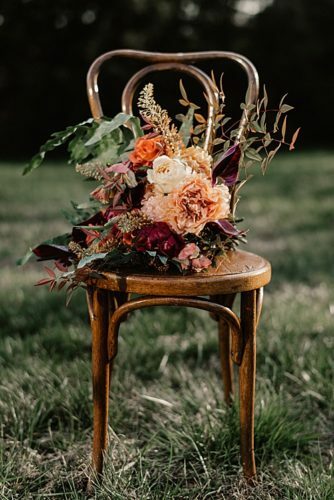 Let’s kick it off with the stunning work of Photosynthesis Floral Design – throughout this whole editorial, her florals do NOT disappoint, especially this bouquet in a beautiful #flowersonchairs moment. 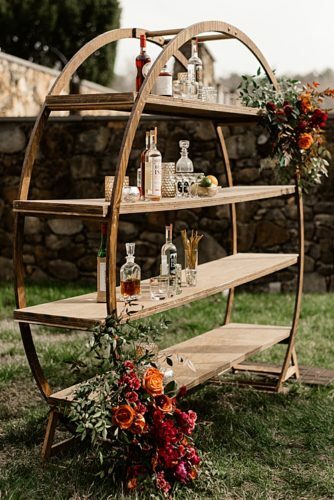 We’ve loved seeing our Round Arbor with Shelves being used for more than just a ceremony backdrop, and this bar (featuring Belle Isle Moonshine) is a perfect example of how this piece can be put to work at an event! 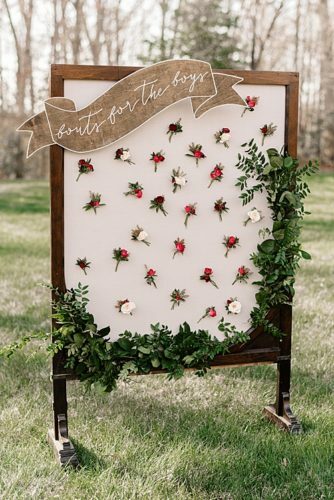 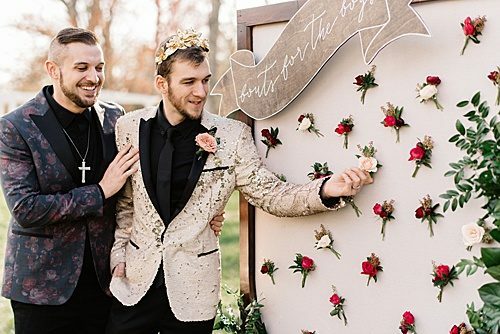 This might be our favorite part of the whole shoot – Swoon Soiree and Photosynthesis Floral Design used our Victorian Pinboard to create a “Bouts for the Boys” station – can we get this at alllll the weddings from now on? 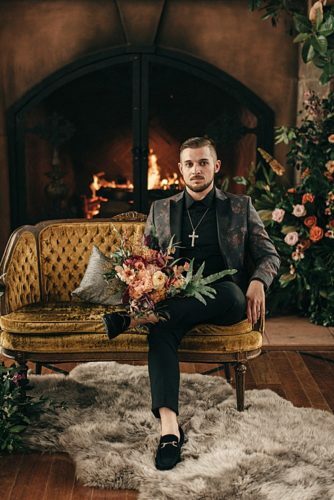 While our collection of upholstered items usually gets used as lounge area pieces, we love when photographers take some time to use our chairs, settees, and sofas to create memorable portraits at events! 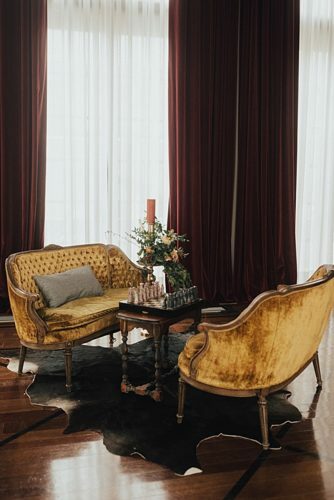 There are worse places to play chess, than perched on our Crawley Settees, right? 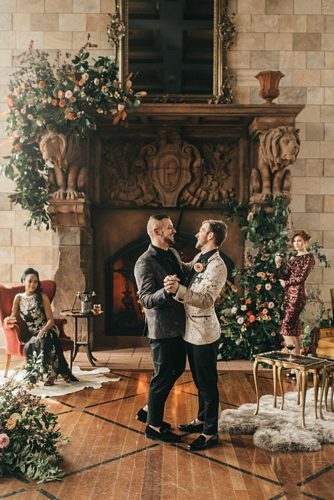 The backdrop of Dover Hall does NOT disappoint. 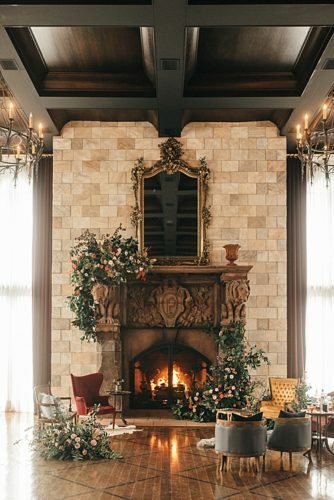 We love the feel of the oversized fireplace, and once Swoon Soiree pulled in some #pandjpretties and Photosynthesis Floral Design’s huge floral installation, it became dramatic and intimate at the same time. 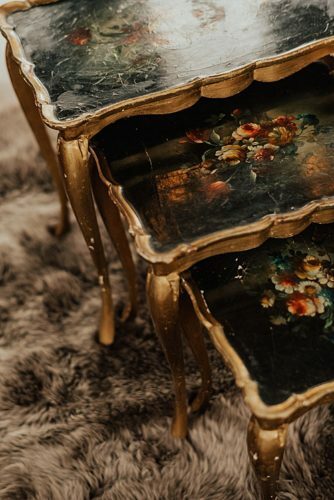 Alex Tenser was sure to capture some beautiful details of our pieces as well, including this cocktail station on our Pie Crust End Table, and the patina detail on our Gold & Floral Nesting Tables. 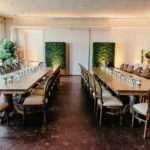 Like any good event, this one ended with cake! 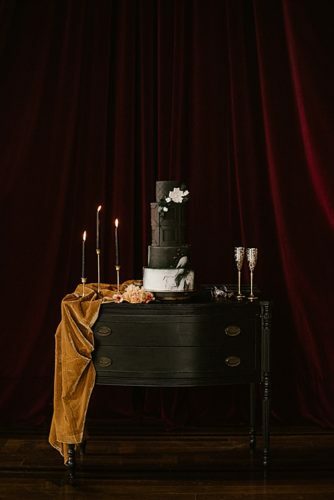 Our Dark Wood Server was the perfect complement to this Bijou Sweets and Treats creation!